Breathing wood - Aged Woods, Inc.
We take breathing for granted sometimes, after all our body does it all by itself. If it didn’t we’d probably all be dead by now. Did you know that wood needs to breathe as well? Well, it’s not quite the same. Your wooden floorboards are not going to grow little mouths and start breathing. If they do, run away! Of course that would offer a great plot for a b-movie horror flick that will wind up on Mystery Science Theater 3000. You heard it here first, just remember that. Wood and the finish that protects it will expand or contract as it adjusts to its new environment. In the southeastern part of the U.S. the wood needs to add some moisture as it is a much more humid environment. In the southwest and at higher altitudes it needs to shed some moisture as it is a much more arid climate. It is important to do this before installation so that any movement will be finished before the wood becomes your floor. If the flooring is installed immediately gaps could open up in the flooring and that would certainly ruin the effect and put a huge damper on the reclaimed wood floor that you just paid good money for. If the board expands the wood can cup and, well, you’ll be tripping over it all the time and probably be cursing someone’s name. Now don’t worry, acclimating the wood to its new environment is not hard. All you really have to do is to stack the wood around the room so that air can circulate around the whole board (and don’t worry, this information is included with what is provided to your contractor so they are aware of it if they aren’t already). All you have to do is to keep the room at the temperature you normally keep the room at during the year. 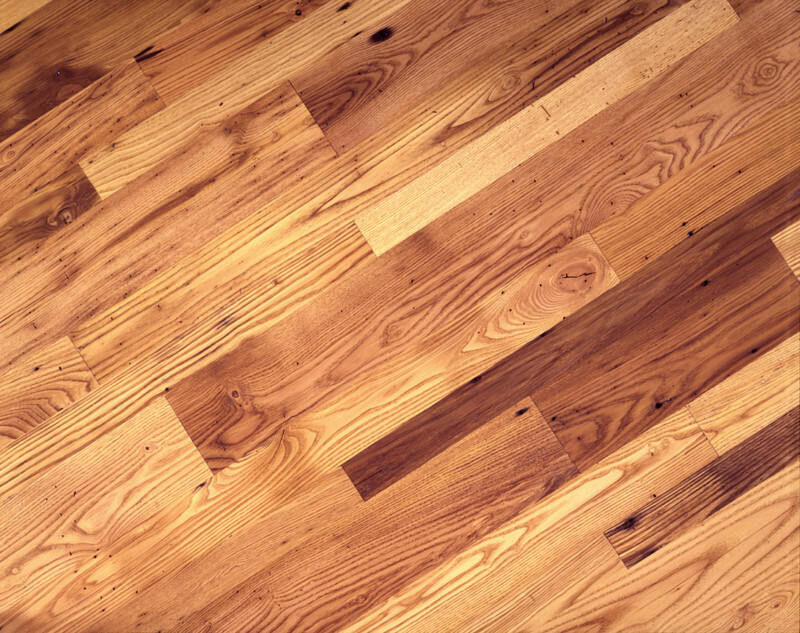 After a week the wood will have absorbed or shed enough moisture and any movement will be complete so your new reclaimed wood floor can be installed. If this is done properly your new antique wood floor will look perfect when it is installed as well as years down the road.